Was she "the only African-American woman" at senior level in White House? 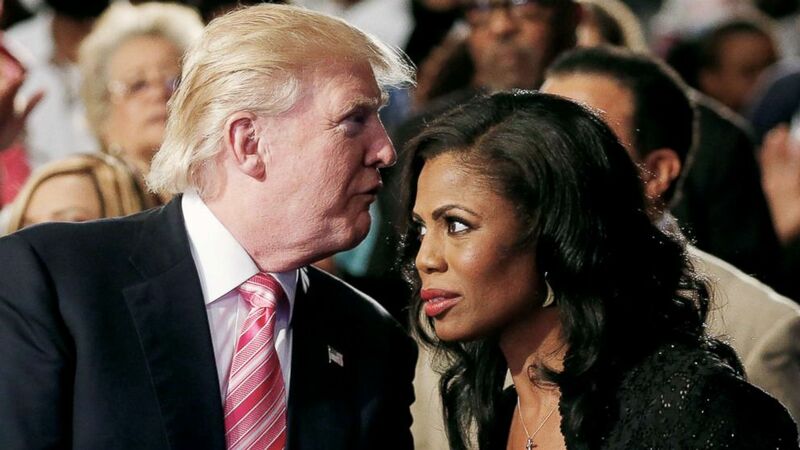 Omarosa Manigault Newman's dramatic exit from the White House has brought renewed scrutiny to allegations of a lack of diversity within the Trump Administration, specifically those politically appointed to positions by President Donald Trump. In her "Good Morning America" appearance on Thursday, Manigault referred to herself multiple times as "the only African-American woman in this White House" and later said "there is a lack of diversity that I will acknowledge" among Trump's senior staff. White House press secretary Sarah Sanders was asked in Thursday's daily briefing if she knew how many senior staffers currently in the White House are African-American. "I don't have a number directly in front of me, specifically African-American," Sanders said. "But I can say, again, we have a very diverse team at the White House, certainly a very diverse team in the press office and something we strive for every day is to add and grow to be more diverse and be more representative of the country at large." (Carlo Allegri/Reuters FILE) Republican presidential nominee Donald Trump and Omarosa Manigault attend a church service, in Detroit, Sept. 3 2016. Sanders added that "a number of people" will be involved in the process of replacing Manigault Newman in her role as director of outreach to the African American community. The White House has not responded to follow up questions from ABC News asking for clarity on the number of African-American senior staffers in the White House. According to Robert C. Smith, author and professor of political science at San Francisco State University, that lack of diversity in the White House could have a broader trickle-down effect on the makeup of the rest of the administration. Smith provided ABC News with research he published in 2016 showing the percentage of African-American political appointees dating back to the Kennedy-Johnson administrations. Smith said he planned to begin compiling similar data for the Trump administration later next year, which he expects to be "akin to the Nixon record." "Both symbolically and in terms of public policy this is a significant departure from the recent past," Smith said. "This disadvantages the administration in policy making." Max Stier, the chairman of the nonpartisan Partnership for Public Service which advocates for greater government accountability, pointed to public data from the Office of Personnel Management's "FedScope" showing the divide between the number of minorities and non-minorities appointed to the administration thus far. 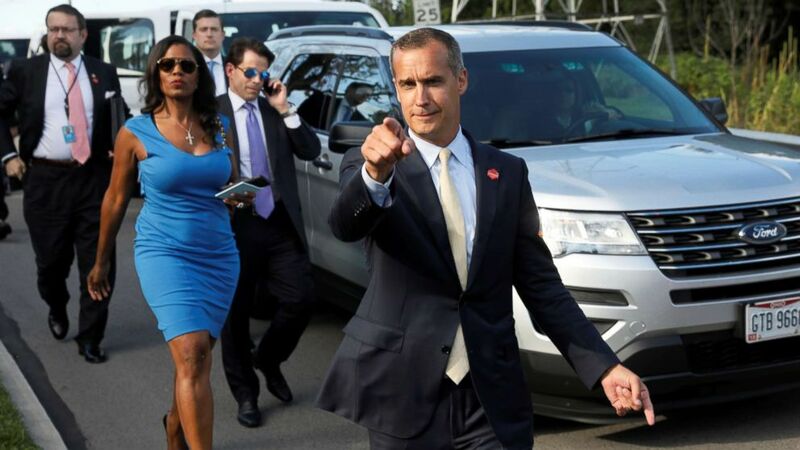 (Jonathan Ernst/Reuters, FILE) Omarosa Manigault walks to an event for veterans in Struthers, Ohio with Corey Lewandowski, Sebastian Gorka and Anthony Scaramucci, July 25, 2017. "It's predominantly white and it's predominantly male," Stier said. "There are no requirements, so it's not in terms of if this is a legal issue of the choices that are being made, but I think there are legitimate questions that can be asked about whether the makeup of the leadership of any administration reflects the people that it's representing, the broader country." But Stier also noted that the shortfall is not entirely unique to the Trump team. "Obama had a much more diverse workforce in the political ranks than President Bush did," Stier said. "President Trump so far looks more similar to President Bush's." In the Thursday briefing, Sanders cited President Trump's close personal relationship with Department of Housing and Urban Development Secretary Dr. Ben Carson and Sen. Tim Scott of South Carolina, both of whom are African0Americans, as examples of his personal outreach to African-Americans. Manigault Newman did not serve in the type of leadership role that former top African-American staffers in recent administrations flourished in, including Colin Powell, Condoleezza Rice and Valerie Jarrett. "I don't think she was given much latitude to go out and try and build relationships with the African American community," Smith said. "It's caused great skepticism about the administration from African Americans and about her as well." Trump's highly controversial handling of the Charlottesville protests and his repeated attacks against his predecessor Barack Obama and his legacy could additionally contribute to hesitation among prominent African Americans to want to join the administration, Smith said. 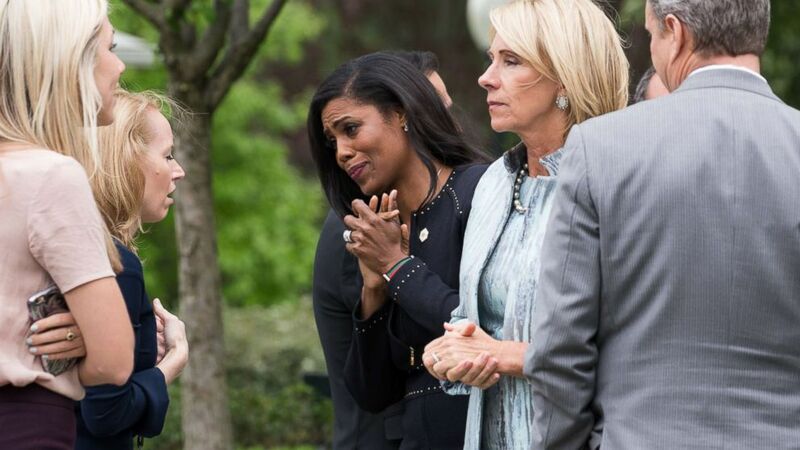 (Cheriss May/NurPhoto via Getty Images) Omarosa Manigault speaks to attendees at President Trump's press conference with members of the GOP on the passage of legislation to roll back the Affordable Care Act in the Rose Garden of the White House, May 4, 2017. "Not just a black face, but recruiting a black person of substantive knowledge and responsibility," Smith said. "Even among some black conservatives you've probably got some reluctance to serve in a Trump administration." Reflecting on her own personal experience, Manigault told GMA she was "very unhappy" with some of what she observed in Trump's White House during his first year regarding race issues. "I have seen things that have made me uncomfortable, that have upset me, that have affected me deeply and emotionally, that has affected my community and my people," Manigault said.